Telekom Malaysia Berhad (TM), Malaysia’s Convergence Champion and No. 1 Converged Communications Services Provider, offers a comprehensive range of communication services and solutions in broadband, data and fixed-line. As a market leader, TM is driven by stakeholder value creation in a highly competitive environment. The Group places emphasis on delivering an enhanced customer experience via continuous customer service quality improvements and innovations, whilst focusing on increased operational efficiency and productivity. In Bahasa Malaysia it was called Kementerian Pendidikan Malaysia, which is in charge in all education-related affairs. But in 2004, it has changed its name into Kementerian Pelajaran Malaysia, which is only in charge from pre-school up to secondary level of education. The tertiary education is taken over by a new ministry, Ministry of Higher Education until May 2013 where Prime Minister Najib Razak announced the two ministry will be merged to form a single Ministry of Education.In 2015, the ministry were split again. The Ministry Of Health has also played a role in rehabilitation of social issues and community development. The Welfare Department was placed under the Minsitry of Health in two separate periods, from 1956 to 1957 and 1960 to 1962. During the merger, the ministry was named the Ministry of Health and Social Welfare with the honourable Dato V.T Sambathan (1957-1959) as its’ first minister. In 1963, the ministry reverted to its original name, the Ministry of Health with its’ fourth minister, the honourable Dato’ Abdul Rahman Talib (1962-1964), and the name remained to this day. The Ministry of Health will continue to grow with the increase of health facilities each year. The ministry also serves as a reference from neighbouring countries in a variety of medical technologies and methods such as Cardiology and Geriatric medicine. Data collection - bathymetric data or modern measurement in Malaysia started in 1868 by the British Navy Hydrographic Service (PHTLDB) to publish charts - British Admiralty nautical charts. In 1964, the British government has decided to carry out all of its assets and hydrographic platforms and assigns responsibility for hydrographic surveying the territory to the Malaysian government after confidence in the government's ability to implement activities - hydrographic activities without their intervention. Responsibility for carrying out the activities - activities hydrographic measurements were given to the Navy Hydrographic Branch (CHTLDM). The results obtained from the Cabinet Decision of 1972. Therefore, CHTLDM an agency representing the government in addressing global problems such as over the issue - the issue of maritime delimitation and law - law of the sea (UNCLOS). TH Properties is an integrated property, project development and asset and facilities management group. Leveraging on proven technical and commercial experience and expertise, the Group focuses on four core areas of business, namely property development, construction, project management and facilities management. Wholly owned by Lembaga Tabung Haji (the Pilgrims’ Fund Board), the Group was created following the consolidation in 2010 of TH Properties Sdn Bhd and TH Technologies Sdn Bhd, Lembaga Tabung Haji’s property development and construction arms respectively. Cyberview Resort & Spa feature 112 resort style villa and extensive conferencing facilities all equipped with free wireless internet broadband. The resort also offer choice of dining at Verandah Pan-Asian Restaurant, Bistro Cascata Italian Fusion Restaurant , Xing Zhu Chinese Restaurant and Karma Bar and Lounge. 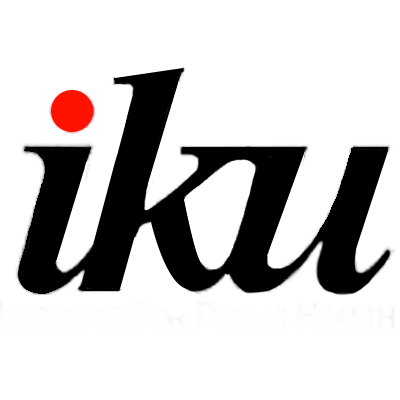 Institute for Public Health (IPH) is one of the research institutes under National Institutes of Health, Ministry of Health. IPH focuses on public health research. In line with the restructuring of health care system of Malaysia towards 1 Care, IPH will strengthen its research capacity to support the Ministry of Health in the planning of the health care delivery for the country. Incorporated in Malaysia as a private limited company 2007, FGV initially operated as the commercial arm of Federal Land Development Authority (FELDA ). On 28 June 2012, the company was listed on the main market of Bursa Malaysia Securities Berhad as Felda Global Ventures Holdings Berhad. As at 31 December 2013 our market capitalisation is RM16.6 billion. FGV is the world’s largest Crude Palm Oil (CPO) producer and the second largest Malaysian palm oil refiner. With more than 19,000 people in the group from our subsidiaries as well as joint-venture companies and associates, we aspire to be one of the top 10 agri-business conglomerate in the world by 2020. The Ministry of Transport is responsible for the formulation and implementation of policies, strategies and programs for public transportation which covers land, aviation and maritime sectors. These will ensure better services in providing an efficient, safe and effective transportation system towards strengthening multi-modal transportation as well as enhancing the country’s competitiveness. SkillsMalaysia is a rebranding exercise for a national awareness campaign which epitomises innovative skills training denoting the outreach to excellent and distinguished achievements as a result of a unified national aspiration with skills training embodied in its mission. 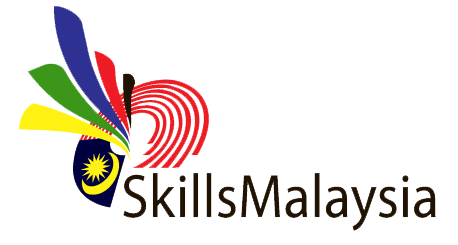 SkilllsMalaysia was established to consolidate the capability and focus os DSD as an organization that formulates, promotes and coordinates skills training in Malaysia. It was established after studying and adapting the best practices of developed countries such as Germany, Japan, Australia and other European nations. Universiti Teknologi PETRONAS (UTP) was established in 1997 and has grown to be one of the most prominent private universities in Malaysia. UTP offers a wide range of industry-relevant engineering, science and technology programmes at undergraduate and postgraduate levels and aims to produce well-rounded graduates with excellent leadership qualities and communication abilities. UTP has produced more than 13,000 graduates and currently has an enrolment of over 1,200 foundation, 6,000 undergraduates and 1,200 postgraduates from more than 66 countries around the world. The Audit Institutions in Malaya has been established during the British Colonial administration in the early 20th Century to strengthen the Government financial management system. At that time, the office of the Auditor General was formed separately into the Federated Malay States and the Straits Settlements. In each of the Federated Malay State, the Institution was known as the Audit Office and was headed by a State Auditor. The headquarters of the Audit Office was situated in Kuala Lumpur and was headed by a Chief Auditor. Malaysian Remote Sensing Agency (MRSA), formerly known as Malaysian Centre for Remote Sensing (MACRES) was established in 1988 under the Ministry of Science, Technology and Innovation - MOSTI (formerly known as Ministry of Science, Technology and the Environment - MOSTE). 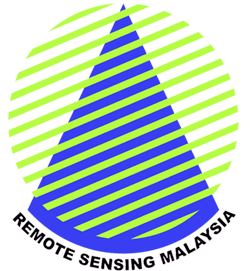 With experience attained for the past 20 years operating as a division under the ministry, effective from 15 February 2008, the agency has been upgraded to a departmental status with a new name; Malaysian Remote Sensing Agency (MRSA). The main aim of upgrading process is to enable the agency to be more viable and effective in fulfilling its objectives of establishment to spearhead the development and operationalisation of remote sensing and related technologies in the country. PMCare Snd Bhd helps to manage and administer various combinations and permutations of their corporate clients' medical benefit programmes. With a proven track record of managing close to 650,000 members as at today, they are committed to provide quality services to their members. They have a strong network of 2,000 affiliated medical providers located throughout Malaysia. PMCare Sdn Bhd processed close to 3.8 million medical claims worth of RM1.02 billion in year 2013. TH Plantations Berhad, the plantation arm of Lembaga Tabung Haji (TH ) is engaged in the business of oil palm and rubber plantations in Malaysia. It was first incorporated in 1972 as Perbadanan Ladang-Ladang Tabung Haji Sendirian Berhad with its first estate Ladang Sungai Mengah, measuring 4,054 hectares. Over the years, THP gradually expanded its land bank and to date, THP's land bank stands close to 105,000 hectares. With the acquisitions made in recent years, THP believes there is a vast potential for significantly higher FFB and CPO production in the coming years. Muzium Negara is a beautiful building featuring traditional Malay architecture and stands majestically in the heart of Kuala Lumpur as a national treasure. Muzium Negara which was upgraded in 2008 shows an interesting and interactive medium for visitors to explore the history of Malaysia starting from the prehistoric era until now. Muzium Negara is headed by a Director and placed under the administration of the Department of Museums Malaysia, Ministry of Tourism and Culture. After a comprehensive study been carried out, then an agency called Zakat Collection Centre was established and began operations that serve the community of tax payers on the 27th December 1990. The use of computers to collect zakat affairs is a historic event because it has not been done either in Malaysia or in other countries. Zakat institutional has also made a history as the first time of using the concept of collector who collects zakat that acts alone which was replaced by the concept of amyl that is united under one company with each combine the expertise not only as a collector but expertise in accounting, computer, administrative, marketing, secretarial, in a nutshell a cohesive group. The principal of the company is to supply products and services as granted by the goverment, whereby the company is authorised to design, supply, develop, deliver, configure, integrate, install, test, commission, calibrate, operate and etc. (automated enforcement system (aes). Within two decades of its establishment, LZS (MAIS) has elevated its excellence as a zakat institution which is well respected by constantly promoting da'wah movements to ensure more people to perform the Third Pillars of Islam. In addition, the distribution of zakat is also enhanced in order to be comprehensive and effective to the eight Asnafs set forth in the Holy Qur'an through the five major development programs Asnaf, Social Development, Education, Economics, Humanities and Religious Institution Development. MARDI was established with the main objectives of generating and promoting new, appropriate and efficient technologies towards the advancement of the food, agriculture, food and agro-based industries. MARDI is managed and guided by the regulations and policies set by the MARDI Governing Board and consented by the Minister of Agriculture AandAgro-Based Industry. In matters pertaining to finance the consensus of the Minister of Finance is also obligatory. © 2018 OR Technologies Sdn Bhd, Malaysia. All Rights Reserved.